Influencer marketing is when businesses sell products and services by promoting them with those who have gained a definite trust (read influence) within his/her audience in a particular industry. It is important to remember that universal influencers do not exist and you need to find those in your niche by research and analysis. This post is meant to be a complete guide for those who struggle to work with influencers but don’t know how to start. 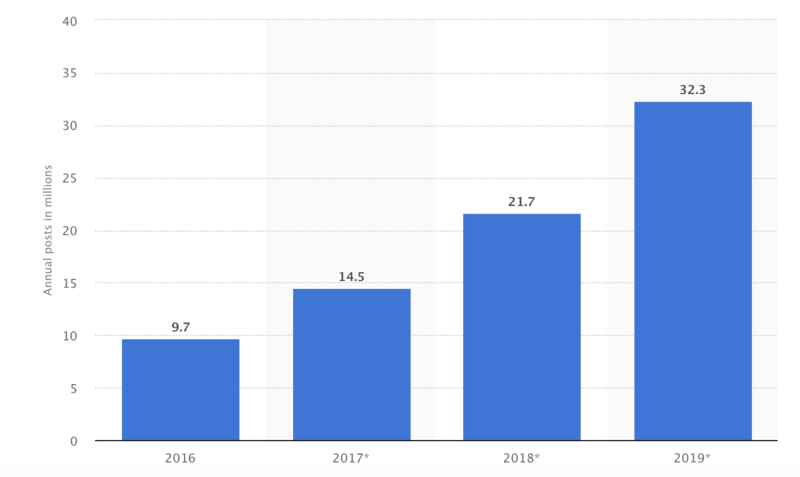 This statistic presents the number of brand-sponsored influencer posts on Instagram from 2016 to 2019. In 2016, there were 9.7 million brand sponsored influencer posts on the social platform. The volume of sponsored content is projected to amount to 32.3 million posts in 2019. In influencer marketing, you can go big with Selena Gomez, David Beckham, Shakira, or you can go small with industry experts, bloggers, and niche-market personalities. 3% of people say they would consider buying a product if it were endorsed by a celebrity. 30% of people say they are more likely to purchase a product based on a recommendation. 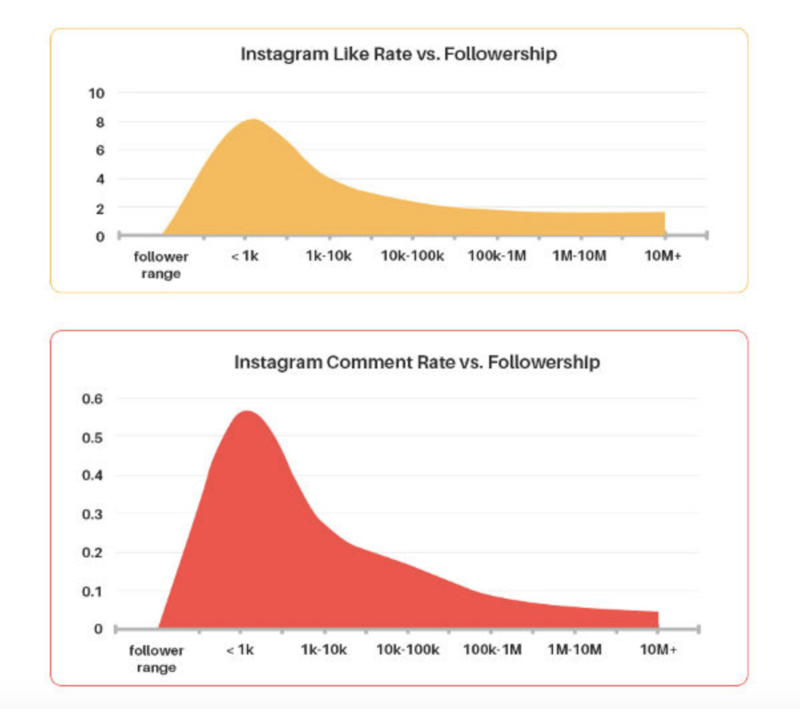 If you are looking for qualified leads and sales, you should choose Micro Influencers. As the number of followers increases, the number of likes decreases. Below are charts from the guys and gals at MarketingProfs. A macro-influencer can reach a lot more people in a much more efficient way, but use them only for brand awareness. I think that 99% of you, ecommerce professionals, have chosen to collaborate with Micro Influencers, and it is clear why: price, trust, and engagement. So here we go. You need to understand who are you reaching in order not to spend money on people followed by wrong followers. I’ve prepared for you a handy table which you can fill in with your information. This table will help you when negotiating with an influencer. As an example I’ll use a clothing retail business. Download table for free here. Once you have an idea of your buyer persona and social network they love, it will be much easier to find influencers. Different types of influencers respond to different incentives, so think carefully about what influencers in your target market will prefer. 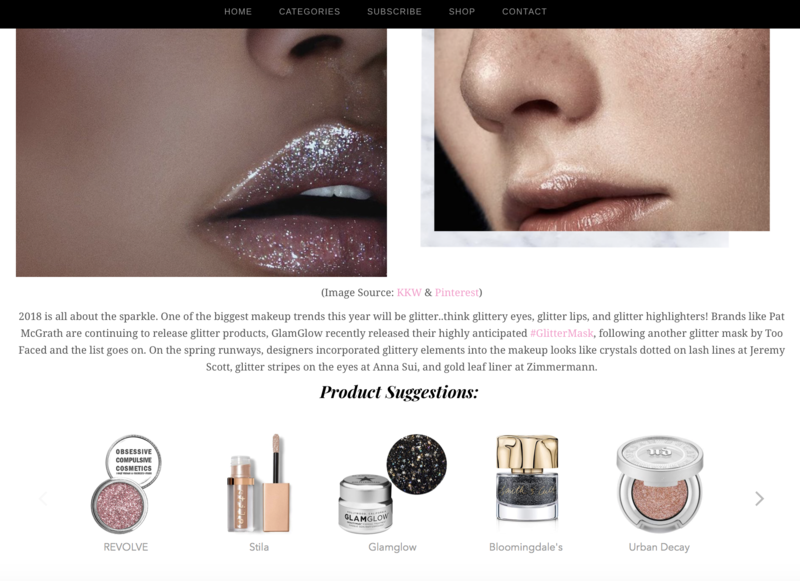 Food influencers may prefer invitations to review restaurants and events over product reviews, whereas beauty influencers love getting exclusive access to new releases. Clothing industry influencers would like to receive money and special coupons they can share with their followers. There are so many tools to help you with search, but they do not do all the work for you and yes, you need to pitch influencers and agree on conditions on your own. You also need to pay for them, and let’s be honest – you don’t need those tools every single day. The only I’d recommend you is ninjaoutreach. If you’ve decided to use a software tool in your arsenal, let it be this one. Ok, now I’ll show you how I search for influencers on Instagram for free. Be ready to spend a month on your research, but you will know that this person is a true influencer and can help you. You know the brands that are your competitors, right? Here we are, just follow their hashtags to define who they pay for and how effective their budgets are spent. Now hit a search, type the name and hit Follow. Scroll down and check on posts and engagement under them. 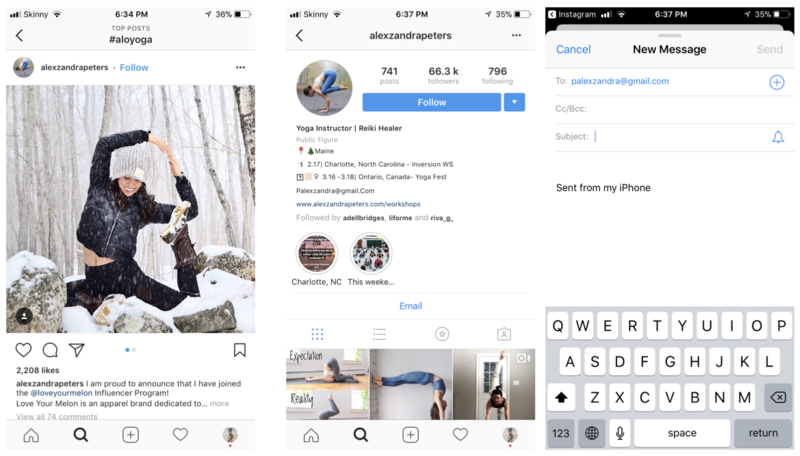 In such a way, I easily defined 3 potential influencers for my yoga clothes brand. How do I contact them? Tap on their profile and click on email. If you need some email samples to reach out to influencers, let me know in comments and I’ll create a cheat list for you. There are ways to work with influencers. Some might be a better fit for you business models than others. This is an easy thing to do. A prolific blogger in your niche might be willing to write a post about your product. 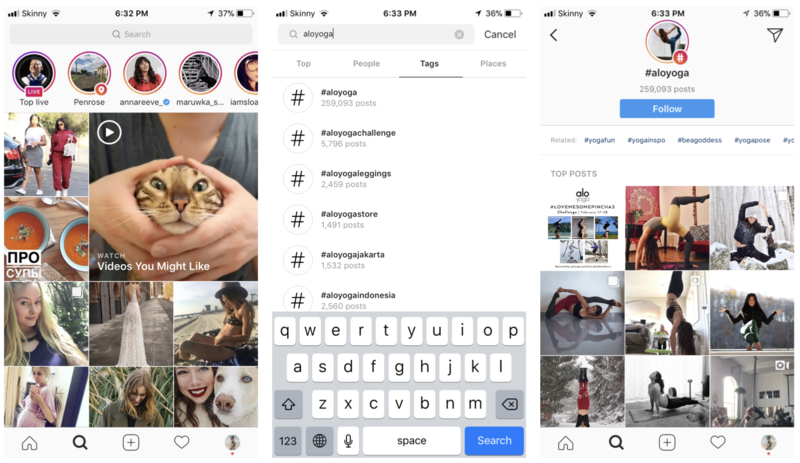 This is good for your brand because the influencer will be communicating with their own audience, in their own voice and writing style. They will likely include a disclaimer that they received sponsorship for the post, but it’s still a great way to reach a new audience. 81% of people read online reviews before making a big purchase. To get influencers to leave you product reviews, you can’t just send them a free product and expect them to review it. You need to build the relationship first. And, remember, if you’re selling on Amazon you cannot, under any circumstances, incentivize a review. Other marketplaces? Give it away and watch the reviews roll in! On the same track as giving away products for reviews or blog posts, you can also give gifts that can inspire more involvement and loyalty. 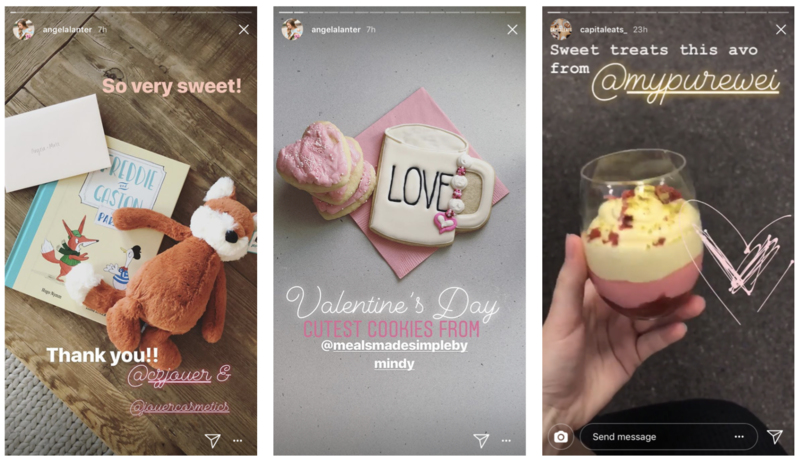 Micro influencers get free stuff all the time, so you don’t have any guarantee that your gifts will result in brand exposure. The key is communication. Agree on specifics before you give anything away. You could invite influencers to participate in a competition that would result in something they really want, like a trip you pay for, a chance at your own audience (if it’s big enough) or some other thing that an influencer might really want. Encourage influencers to share a testimonial or participate in some other contest you devise, and reward the winner with the agreed prize. A great way to get buy-in from influencers is to incentivize them to promote your brand by setting up an affiliate program. Basically, they’d have a unique link or code that buyers could use to buy your products, and in return the influencer would get financial compensation for each sale that uses their code or link. Many, many influencers are heavily involved in affiliate marketing, so this is something to strongly consider. If an influencer will let you introduce yourself or your products via a guest post to their audience, that’s super. Guest posts aren’t a guarantee of brand awareness, but they are worth doing because it’s valuable to be mentioned on sites other than your own. Guest posting doesn’t have the SEO value that it used to, but it’s still a worthy activity. The graph below shows data on the metrics used by marketers to measure influencer marketing success in the United States as of November 2017. 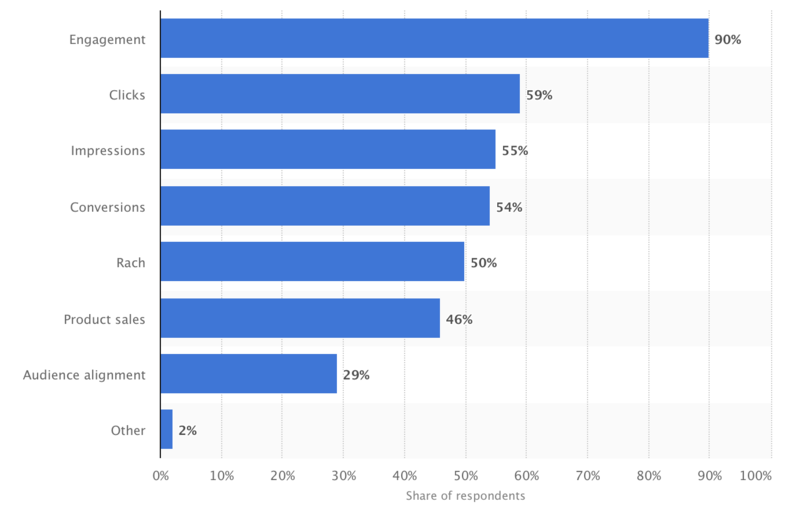 During the survey, 46 percent of responding marketers stated that they used product sales to measure influencer marketing success and 90% consider engagement to be the most important factor. Guys, would you like to learn more about brand advocates and how to turn influencers into them? Let me know in comments. Cheat sheet? Where can I find? I will add it to this post soon. I’m curious as to how micro influencers find sponsors. 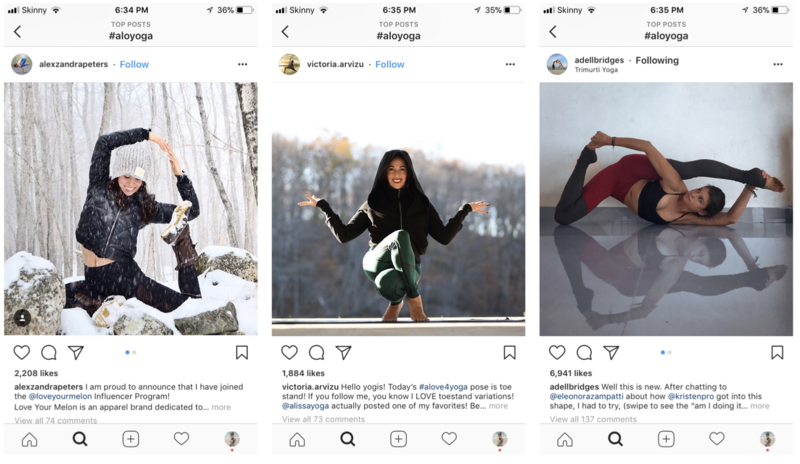 How do micro influencers find brands that align with their values?